Tuomari Nurmio playing fancy (probably self-made) box guitar at Naamat Festival 2005. 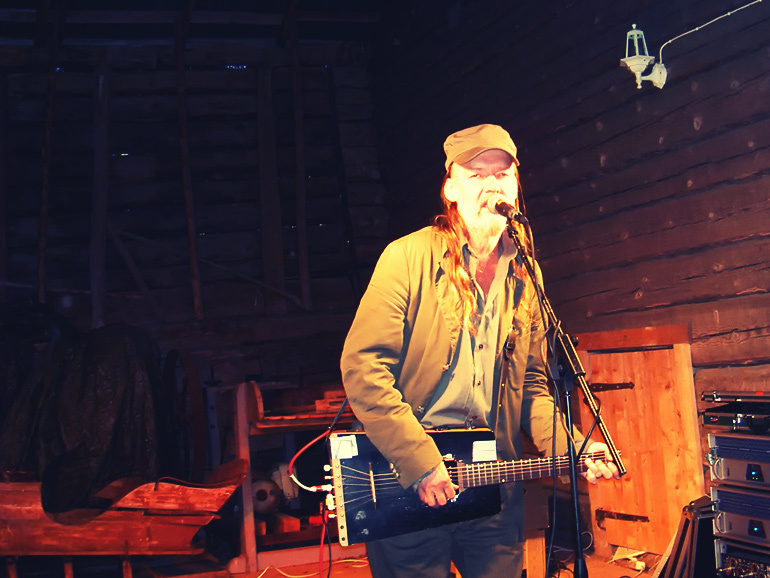 His rude blues on a little barn stage created a perfect atmosphere and it’s one the best live gig memories I have. This entry was posted in Risto's photos and tagged gigs, naamat, tuomari nurmio.